The appropriate clearances in the source countries by international and our own government officials and a continued vigilance throughout the process of identifying refugees to become our next residents is important to ensure success and assure our residents. Because of the systems in place and the prioritization of specific groups within the pool, the risk of a terrorist coming into this country is very low. It may be different in some European countries where hundreds of thousands are streaming into the country, often meaning that the level of screening presently done for our country is unlikely to occur. Having spent six months or so hearing about the movement of migrants and refugees through and into Europe, we have had our country make and begin to fulfill a commitment to take refugees into this country as well. It is understood that not everyone is in agreement with the plan to bring in refugees beyond what we have traditionally done, in particular refugees from Syria and that region. In fact it is healthy for all of us to question the decision of the government, while at the same time be understanding of the realities of what is occurring in that region. It is helpful because we are not sheep following aimlessly after all and to do this is in part, to assure ourselves of the decisions being made. So we can sincerely care about the outcome of the refugees who need our help, while asking that our security not be dismissed and that any risk be appropriately managed and where possible alleviated through stringent security measures. It is generally agreed that something must be done to help remove refugees from harm and in fact this country and many others, have agreed that we will bring thousands of refugees into the country. We should remember at the same time that it is also important that we are prepared for their arrival. The appropriate clearances in the source countries by international and our own government officials and a continued vigilance throughout the process of identifying refugees to become our next residents is important to ensure success and assure our residents. The plan in place focuses specifically on individuals and families that have suffered the most, according to officials working for the Immigration Department. Other things to consider will be the importance of where refugees will be placed, in particular the need for diverse placement across the country so as to not overburden major cities and there is a need to ensure we engage communities so that the important connections for long-term success. The plan in place focuses specifically on individuals and families that have suffered the most, according to officials working for the Immigration Department. In fact before any refugee will be considered they have to be placed on the United Nations High Commissioner for Refugee's registration list and have been through the process they have in place to identify and meet the test of refugee status. A reality of this process is that the UNHCR triage the applicants giving priority to women with children, elderly, sick and unaccompanied minors. As well a number of countries are focusing on groups like the LGBT community who are under tremendous and serious threat in the Middle East. During the process there will be interviews conducted by immigration officials to ensure the application is credible. 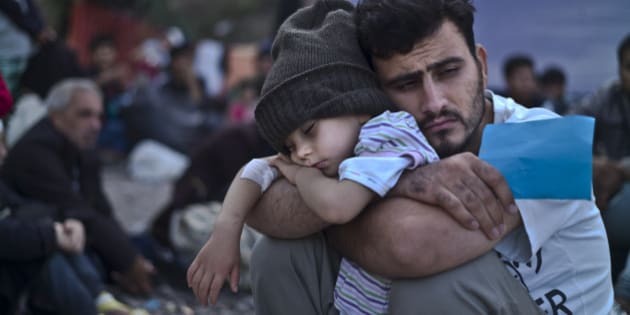 As a part of the credibility test will be consideration that you meet the refugee criteria versus that of a migrant, a distinct difference in that a migrant made a conscious choice to relocate and was not forced to leave their country do to human rights and/or safety concerns. As noted they will as well be screened through various and multiple systems and agencies that will specifically pursue whether or not the applicant poses a risk to this country. Because of the systems in place and the prioritization of specific groups within the pool, the risk of a terrorist coming into this country is very low. It may be different in some European countries where hundreds of thousands are streaming into the country, often meaning that the level of screening presently done for our country is unlikely to occur. Some would argue that we need to focus our benevolent attention and resources on our own citizens, those who already live in our country and we should, but we don't have to choose one over another we should be taking care of both. Some might say we can't afford to do this, I would argue that we can't afford not to, the stark reality is that refugees are running away from what we are all fighting, terrorism and hatred, this is for us part of that fight. In short if bringing in refugees was a good idea in the summer of 2015 then it is still a good idea, and it can be done with strong security measures firmly in place to protect our citizens. The byline of this article is "Refugees, In A Word," I would argue that the word should be a loud and clear WELCOME.